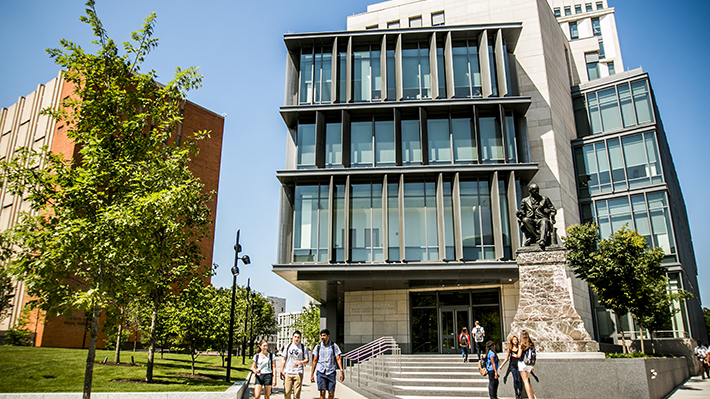 This fall, Drexel LeBow welcomed nearly 550 new freshmen to campus - including 30 students enrolled in a major that is new to LeBow: Bachelor of Science in Sport Management. Effective Fall 2018, Drexel’s former Center for Sport Management has been fully integrated into LeBow College of Business as the Department of Sport Management. All students enrolled in the BS Sport Management and MS Sport Management programs are now LeBow College of Business students. Joel Maxcy, PhD will continue to serve as department head for Sport Management. This integration began in 2017, when Drexel University established the Center for Sport Management as an independent academic unit aligned with the LeBow College of Business. This move into the College completes the integration. LeBow also welcomes Sport Management full-time faculty members Ellen Staurowsky, EdD, Karen Weaver, EdD, Lawrence Cohen, JD, and Jeff Levine, JD. Drexel University hosted “From Tommie Smith and John Carlos to Colin Kaepernick: A Conversation About Race and Sport,” giving students opportunity to think more deeply about recent controversies facing the NFL, NBA and other sports leagues. Research from Karen Weaver, EdD, associate clinical professor in Drexel University’s Sport Management Department, tackles the trend of “athletic villages” is and the impact on players, coaches and athletic staff. LeBow’s Business Learning Community incorporates a number of innovative educational “high-impact practices” identified as greatly impacting student success.